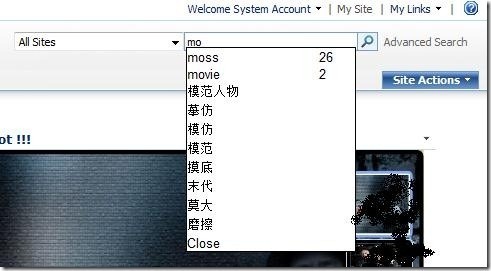 merge "Chinese Did you mean…" and "Search as you type" project in one. As ProjectName means, this project supports "Did you mean…" feature in Chinese ( or any other language.) and intellisense when you key in search textbox. 2. Support Chinese "Did you mean…"
Exchange Load Generator is a simulation tool to measure the impact of MAPI, OWA, IMAP, POP and SMTP clients on Exchange servers.